Some classes have been trying Blind Dates with books by ‘dating’ an author or genre they haven’t read or recommending a book they have enjoyed as a Blind Date Book for a friend. The Year Two classes have written Valentines to their favourite book characters with Billie B Brown and Hey Jack firm favourites. The Prep and Year One classes have enjoyed library stories including Winston the Book Wolf where they discovered ‘reading is eating words with your eyes’; Walter’s Wand and used wands to create some ‘reading magic’ and Library Lion where they met our very own Library Lions, had fun roaring and discussed the importance of our library rules. The Year 3-6 classes have spent the past two weeks creatively making bookmarks that you can see here. This entry was posted in Uncategorized and tagged library, Library_Lovers by smotlrcblog. Bookmark the permalink. Wow what a wonderful lot of talented students you have at your school. I can see why they love your library and it’s all because of you. Love how your library opens up the door to so many different and great things that happen in your library daily. Wish I was back at school and spending a day at your library. 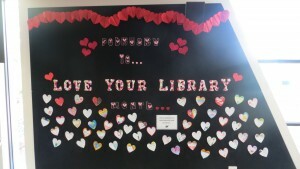 Keep up the great work Miss Y as from this post I can see that the kids really do love you and your library. Thank you for taking the time to leave such a lovely comment. You know that you would be most welcome to spend a day in our library any time! I really like your stories because they are all funny!!! You’re the best library that I’ve ever seen! Thank you for all of your wonderful books!!! I wish you were my mum because you can read me lots of funny stories!! Thank you for leaving a great comment on our LRC Blog. I’m glad you love our library and all of our wonderful books! If you borrow some of our funny books I’m sure your mum would love to read them with you and you can laugh and enjoy them together. I enjoyed making my caterpillar. You did a fabulous job making the Hungry Caterpillar. I love looking at him when I’m sitting at our Borrowing Desk. 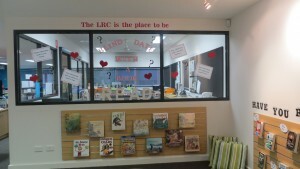 It was fun and a bit tricky making the LRC with minecraft and trying to work out where to put everything. I really liked the way you popped into the LRC after school to think about your favourite parts of the LRC so you could create them with Minecraft. You did a fabulous job! I am loving the blog. And I am so excited for the 65-storey tree house to come out. I like the videos on the blog. I love you as my library teacher. I love to read Billie B Brown, Hey Jack and Katie Woo, but when I take new books like The book of dreams I love it. 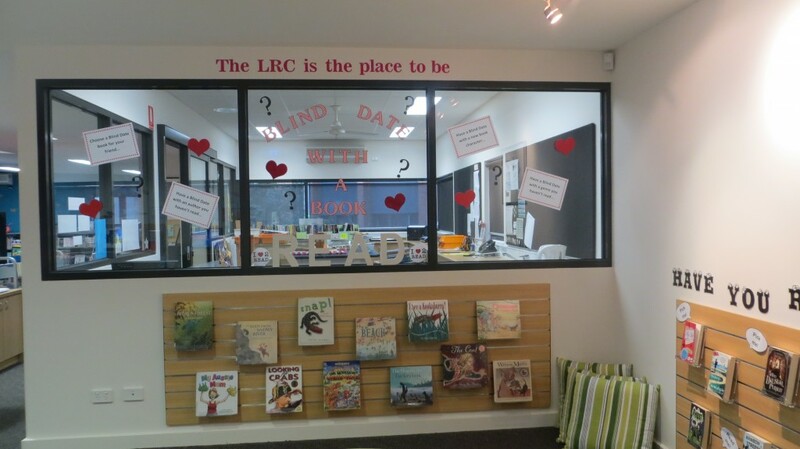 I’m glad you love our LRC Blog, I really enjoy writing it for our library. There is going to be lots of excitement when The 65-storey treehouse is published later in the year! I wonder how many copies of the book they will need to print for all of the kids who will want to buy it? I’m very lucky to be a teacher librarian so I can teach lovely people like you! I’m glad to hear you are enjoying having adventures with Billie B Brown, Hey Jack and Katie Woo. We have lots of great books to enjoy in our library. I love the Hey Jack books and Billie B Brown books. Hey Jack and Billie B Brown are very popular books in our library! You were very lucky to have their author Sally Rippin visit you at school last year. I love that we have our own Library Lions in the LRC! I can see how much you love to read by the books you borrow. You are a wonderful reading example for Jonah!